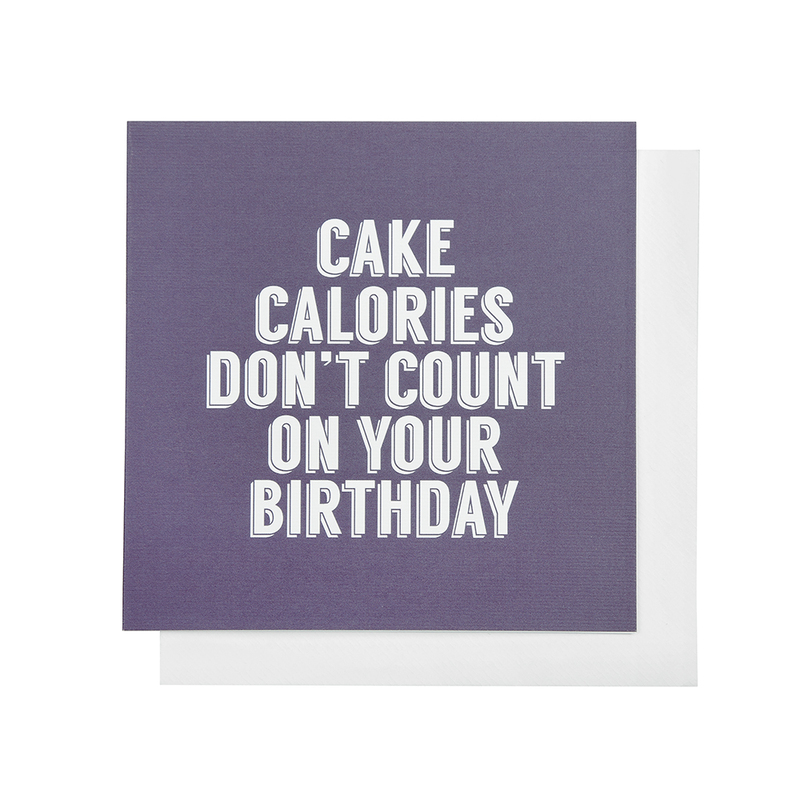 Cake Calories Don't Count on your birthday is a fun purple birthday card for the cake lover on their birthday. 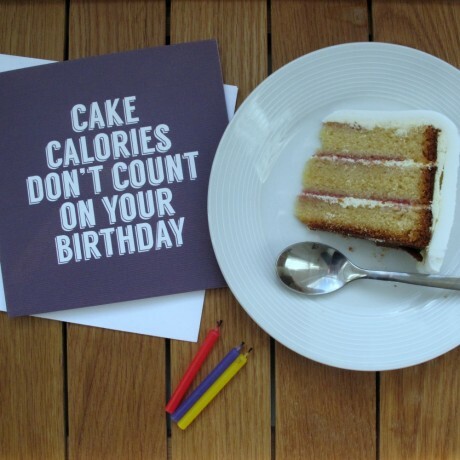 Our cards are printed on high quality textured paper stock (280gsm). The card comes with a premium white envelope. 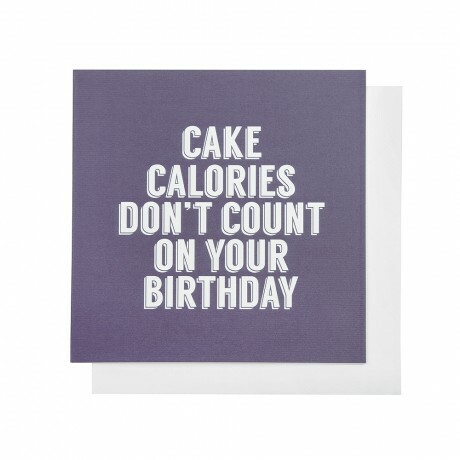 The cards are 148mmx148mm in size and come packaged safely in cellophane. This product is dispatched by Rock Bakehouse. This item has a shipping weight of 9g.